Paul and me, and some of Paul's groupies, after the Regent show. Snow is coming through New England later tonight. But our screening of 'The Yankee Clipper' (1927) at the Custom House Maritime Museum in Newburyport, Mass. is still on. Doors open at 5 p.m., and the movie starts at 6 p.m. We should be done well before the snow flies. Jessica Pappathan, the museum's executive direcor, tells me that they've sold over 50 tickets. So let's hope that people are still able to make it in and enjoy this terrific film! Last night was a special event, in part because of how it was pretty much totally unplanned. At the Regent Theatre in Arlington, Mass., I joined guitarist Paul Bielatowicz for an evening of George Méliès films. 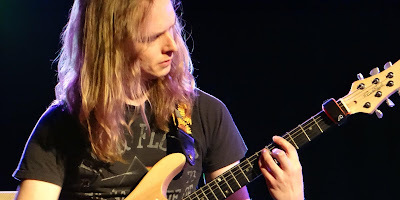 Paul, a masterful players who tours all over the world with Carl Palmer and other musical legends, has developed some very interesting musical settings for some of the Méliès films. So earlier this month, when I got a call from the Belmont World Film Festival about helping them with a Méliès program, I immediately thought of Paul. It was quite different from my approach, but very effective. So Paul and I have kept in touch. He happened to be home in Massachusetts (just prior to another two-month European tour) and, on about 10 days notice, immediately said yes to joining me. Paul picked out the films and cued them up on his system, which was a big help. All I had to do was show up with my keyboard and play to the titles assigned to me! A healthy crowd turned out, and we had a great time swapping off various Méliès titles. Paul reprised his 'Trip to the Moon' score, while the big number for me was a full-on orchestral treatment of 'Conquest of the Pole' (1912), which I regard as a late Méliès masterpiece and suitably grand title to close our the program. But what really great about the program was how Paul and I just naturally spoke about Méliès and his career in between each film. Without any preparation whatsoever, we told the story of his career, his films, his accomplishments, and a little about the times in which he worked. It fell together quite naturally. Sometimes the best plan is no plan at all! Thanks to Paul for making last night's Méliès program at the Regent a truly memorable experience...a highlight of the already young year! And thanks also to Leland Stein of the Regent for recommending me when the festival's original programming plans fell through, and also for introducing me to Paul last year. And also, thanks to Ellen Gitelman of the Belmont World Film Festival for taking a chance on a last-minute programming switch. It all worked out well! Okay, fr those of you unintimidated by the snowy forecast, here's the info on tonight's screening of 'The Yankee Clipper' in Newburyport, Mass. Hope to see you there! William Boyd (right), eventually better known as Hopalong Cassidy, stars in 'The Yankee Clipper' (1927). NEWBURYPORT, Mass.—The era when wind-powered ships ruled the seas comes to life on the silver screen in 'The Yankee Clipper' (1927), a nautical adventure film to be shown on Saturday, Jan. 19 at at the Custom House Maritime Museum, 25 Water St., Newburyport, Mass. The silent drama, starring a young William Boyd and filmed at sea aboard authentic 19th century vessels, will be screened with live music performed by Jeff Rapsis, a New Hampshire-based silent film accompanist. Showtime is 6 p.m. Admission is $20 per person for museum members, $25 for non-members, with all proceeds to benefit the Custom House Maritime Museum. 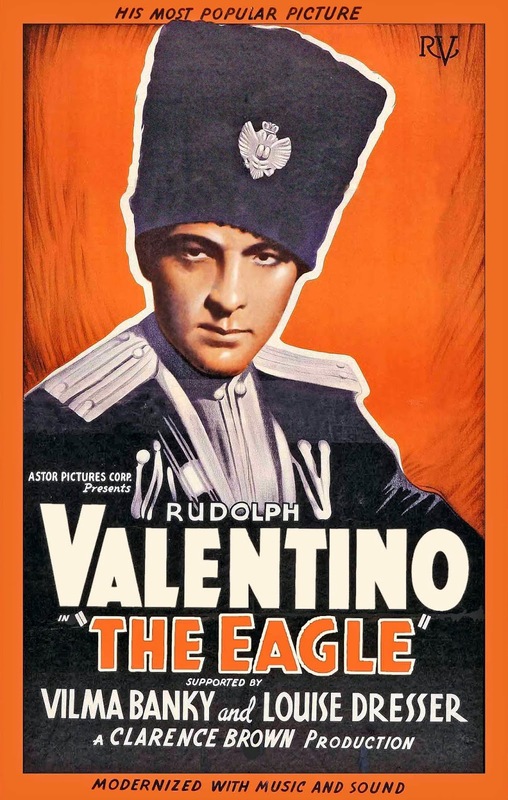 Produced by Cecil B. DeMille and directed by Rupert Julian ('Phantom of the Opera'), 'The Yankee Clipper' set new standards for historical adventure when it was released in 1927. 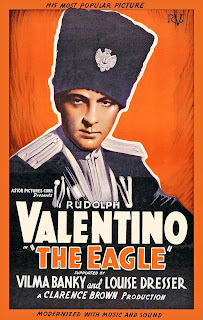 The film takes place in the 1840s, during a period of intense rivalry between British and American sailing captains to win lucrative trade routes between China and the U.S.
As 'The Yankee Clipper' opens, Captain Winslow (William Boyd) takes a revolutionary new clipper ship, built by his father, on its first voyage from America to the Orient. While in China, Winslow attends a dinner hosted by a wealthy Chinese merchant and rescues English maiden Lady Jocelyn Huntington (Elinor Fair) from rioting beggars. Winslow agrees to a race from China to Boston against an English clipper ship, with the fastest vessel to be awarded an important tea contract. To win, the ships must brave dangerous seas, mutiny, and potential sabotage on board. Romance enters the picture when Lady Jocelyn inadvertently winds up on board the American ship. The cast features a very young William Boyd in the leading role. Boyd, a popular actor in silent films, would go on to gain fame in later years by playing the character sidekick role of "Hopalong Cassidy" in many Hollywood Westerns. Also, at the time the film was made, female lead Elinor Fair was married to producer Cecil B. DeMille. The film also features actor Walter Long as Portuguese Joe, a ship's crew member. Long, a native of Milford, N.H., was a popular character actor with an extensive career in early cinema that ranged from an appearance in D.W. Griffith's epic 'The Birth of a Nation' (1915) all the way to playing the heavy in Laurel & Hardy comedies much later. 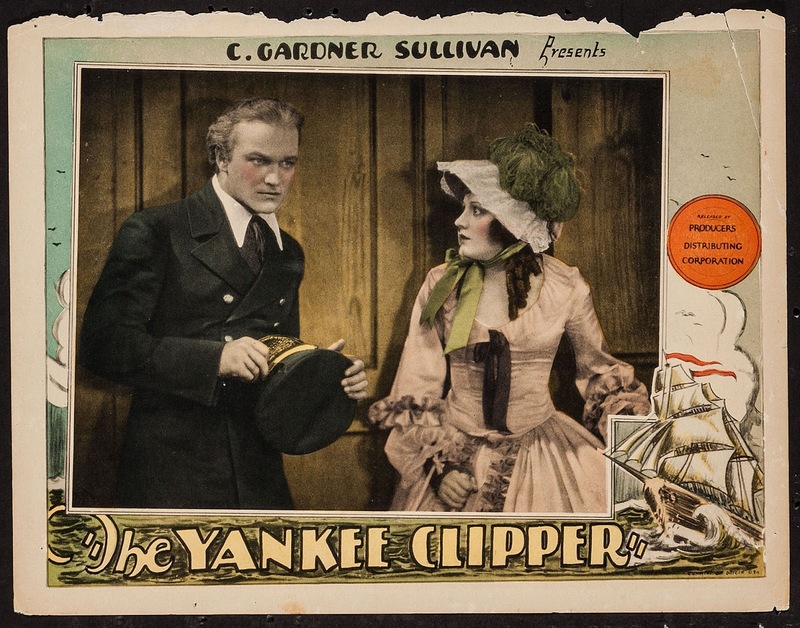 Leonard Maltin called 'The Yankee Clipper' a "splendid 19th-century seagoing adventure, as clipper ships race full-sail from China to Boston to earn a coveted tea trade contract. En route: typhoon! No fresh water! Mutiny! And a woman on board! Realistic yet heightened drama has it all." Music for 'The Yankee Clipper' will be created live by Jeff Rapsis, who specializes in improvising scores to classic silent films in live performance. For each film, Rapsis will improvise a score from original musical material that he creates beforehand, using a digital synthesizer to recreate the sound and texture of a full orchestra. 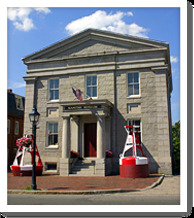 The Custom House Maritime Museum is a non-profit 501(c)(3) organization operated by the Newburyport Maritime Society, whose mission is to protect, preserve and interpret the maritime heritage of the lower Merrimack Valley region and how it relates to American history. 'The Yankee Clipper' will be shown on Saturday, Jan. 19 at 6 p.m. at the Custom House Maritime Museum, 25 Water St., Newburyport, Mass. Admission is $20 for members, $25 for non-members, with all proceeds to benefit the Custom House Maritime Museum. For more information and to buy tickets online, visit www.customhousemaritimemuseum.org, or call (978) 462-8681. Scoring 'The Yankee Clipper' (1927) on Saturday, Jan. 19 at the Custom House Maritime Museum in Newburyport, Mass. • On Friday, Jan. 18, it's a George Méliès program at the Regent Theatre in Arlington, Mass. with my fellow silent film accompanist (and world-reknowned guitar-tist) Paul Bielatowicz. The screening, which we put together just in the past two weeks, starts at 7:30 p.m. It's part of the Belmont International Film Festival. I'm really looking forward to working with Paul B. again. I first encountered him exactly a year ago at the same theater, and we've been keeping track of each other ever since. Paul specializes in Méliès films, and his guitar-based approach to accompaniment is very different from mine. But it's great stuff that he does and well worth hearing live. Also, Paul is usually touring the world. For example: all February, he'll be criss-crossing Europe with Carl Palmer’s ELP Legacy band. So a chance to hear him close to home is not to be missed! • On Saturday, Jan. 19, the sailing ship drama 'The Yankee Clipper' (1927) embarks from the Custom House Maritime Museum in Newburyport, Mass., with music by me. 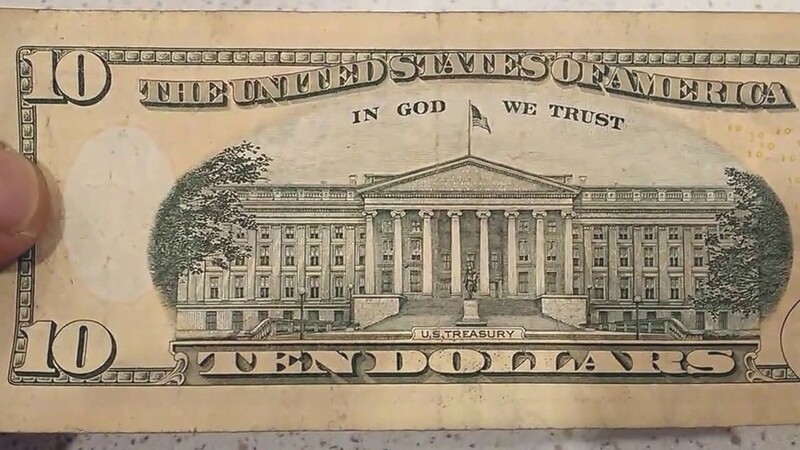 This should be fun because it's a grand picture in a real cool museum in a building—one designed by the same guy who built the U.S. Treasury Building in Washington, D.C., which is on the back of all U.S. $10 bills. It's a great audience flick and always gets a strong reaction. More details and info in the press release below. 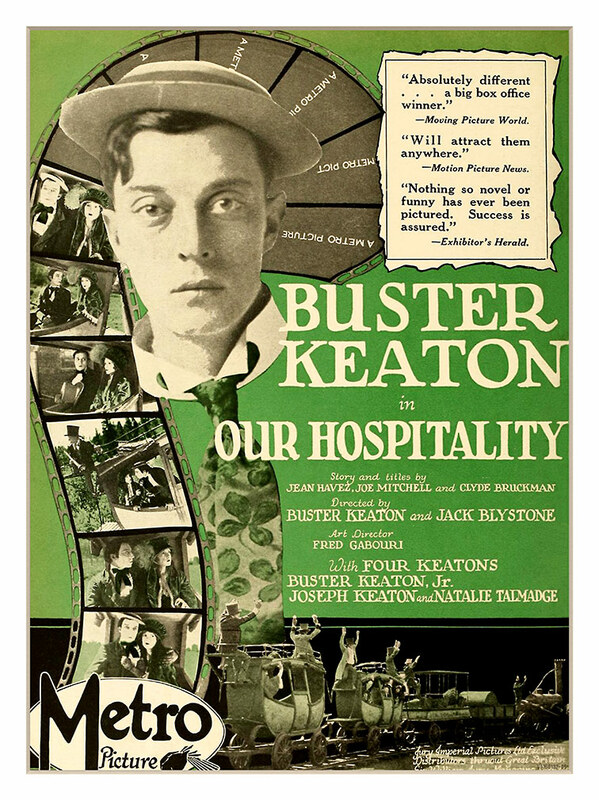 • An on Sunday, Jan. 20, the local chapter of the Sons of the Desert (the Laurel & Hardy appreciation society) in Manchester, N.H. celebrates Mr. Hardy's birthday (which is Jan. 18) with a varied film program, including silent titles with live music by you-know-who. The program is free and all are welcome to attend. The program begins at 4:30 p.m. at the Southside Tavern, 1279 South Willow St., Manchester, N.H. So, back to the keyboard. Here's another nice weekend (really!) I've gotten myself into: one filled with music and sailing ships and Mr. Laurel and Mr. Hardy. Last weekend had some Laurel and Hardy in it as well, as I was able to catch 'Stan & Ollie,' the new biopic about the duo's later years. I saw it in London, where it opened last Friday amid a ton of local promotion: on billboard, on London buses, in the Underground, you name it! Yes, even in the Underground. But I'm glad I did, as this is a film that film lovers can really love. I accepted 'Stan & Ollie' fully and completely from the opening moment, when we first hear a funny scraping sound and it turns out to be Stan sawing off the heel of his shoe, as he did in real life. Dominating the Odeon in Leicester Square. After that, I was totally, completely absorbed for the duration of the picture. And I was quite moved to see the lives of two performers I've loved since childhood be the basis for such a warm, wonderful story. It was a movie I didn't know I'd waited 45 years to see. I encourage you to see it too, and in a movie theater, if you can find one running it. The U.S. release has been tiny compared to what I saw in the U.K., where I understand it was No. 2 at the box office last weekend. As for this weekend: well, if you'd like to come to one of my screenings, you can choose between France (Méliès), China ('The Yankee Clipper') and Laurel and Hardy in Manchester, N.H. If sailing ships are your thing, you won't find a better film than 'Yankee Clipper,' which I'm accompanying on Saturday night at the Custom House Maritime Museum in Newburyport, Mass. Details in the press release below. Hope to see you there! On board the 'Yankee Clipper' (1927), starring (and captained by) William Boyd, at right.